Let’s say you are trying to extend a volume and you have the “Extend volume…” option greyed out in Disk Management (MMC). Can you still extend the volume? Is not really necessary to be in the exact same setup as I was to be able to apply the fix, but I am mentioning the full context to make sure you understand the reason why I introduced couple of additional steps. 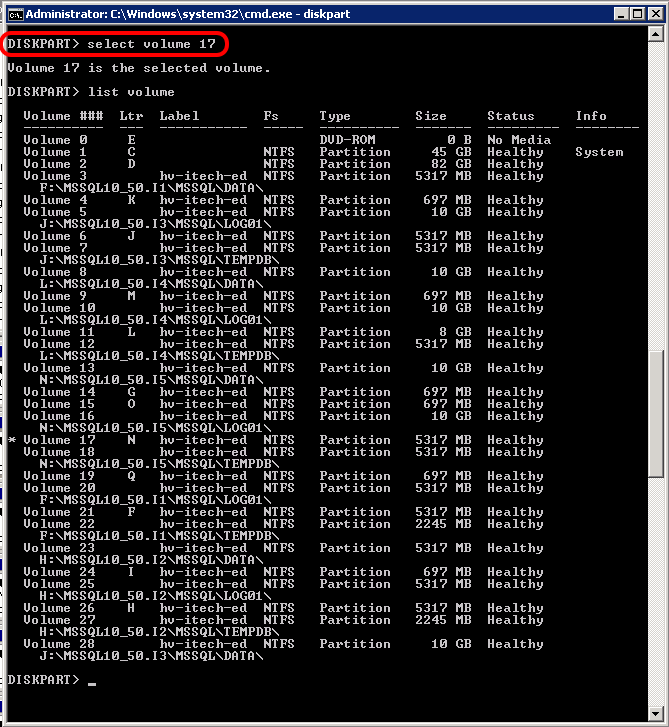 My setup: Microsoft Windows Server 2008 Enterprise + MSSQL cluster (5 instances) + SAN disks. 2. 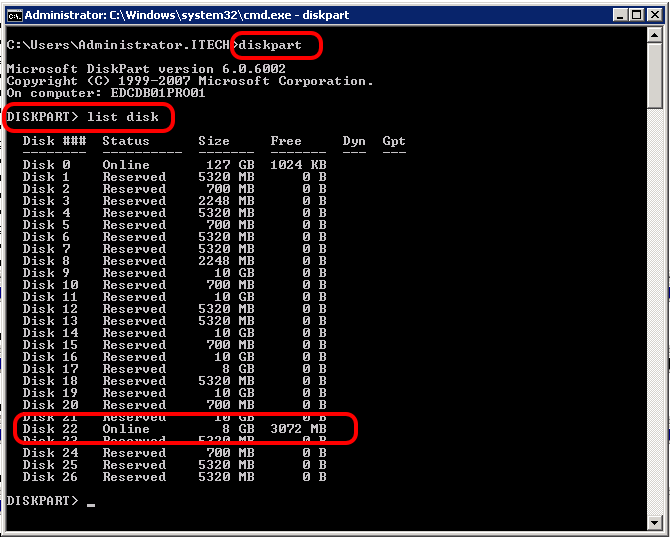 Refresh the Disk Management MMC console and check if the additional disk space is available. 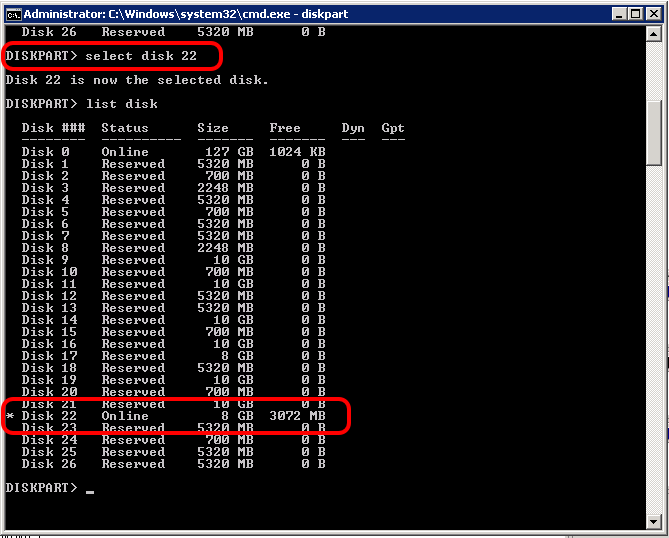 Of course to be able to extend a volume is necessary to have the unallocated disk space to the right of the partition\volume you wish to extend on the same drive. 3. If the disk is part of a cluster, make sure you Turn On Maintenance Mode (Failover Cluster Management MMC -> Storage). This action will not stop/affect the service who is using that disk (in my case will NOT affect my MSSQL instance – no downtime). 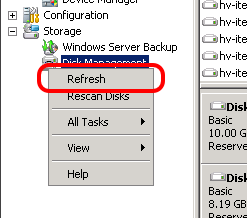 Turn On Maintenance Mode simply disables couple of disk checks the cluster service performs. If you don’t turn on maintenance mode, it is possible the cluster service to trigger a failover and this will move the disks (where you want to perform the extend) on the other cluster node. 4. Use DISKPART to extend the Volume. 5. 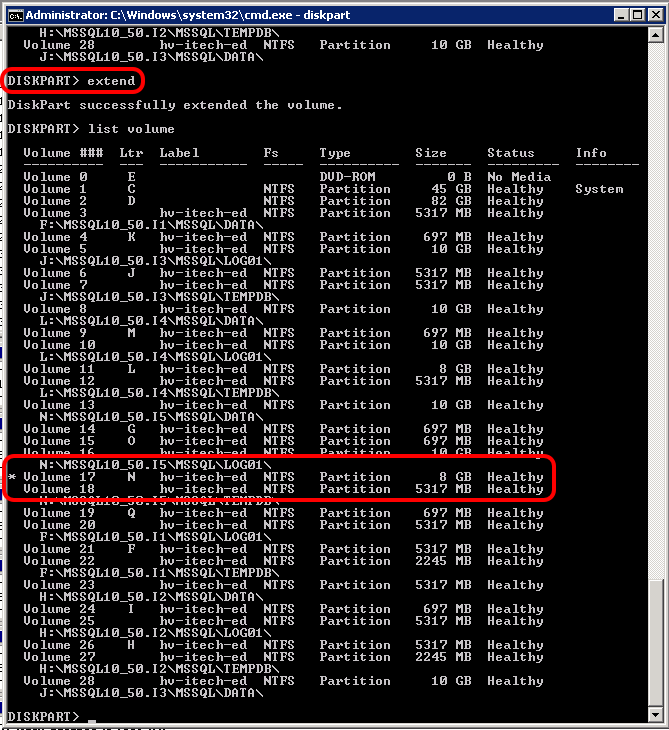 If the disk is part of a cluster, make sure you Turn Off Maintenance Mode (Failover Cluster Management MMC -> Storage). Previous PostHTML5 video player in SharePoint 2010 and SharePoint 2013 (on-premises)Next PostNew-SPWebApplicationAppDomain: The given key was not present in the dictionary. 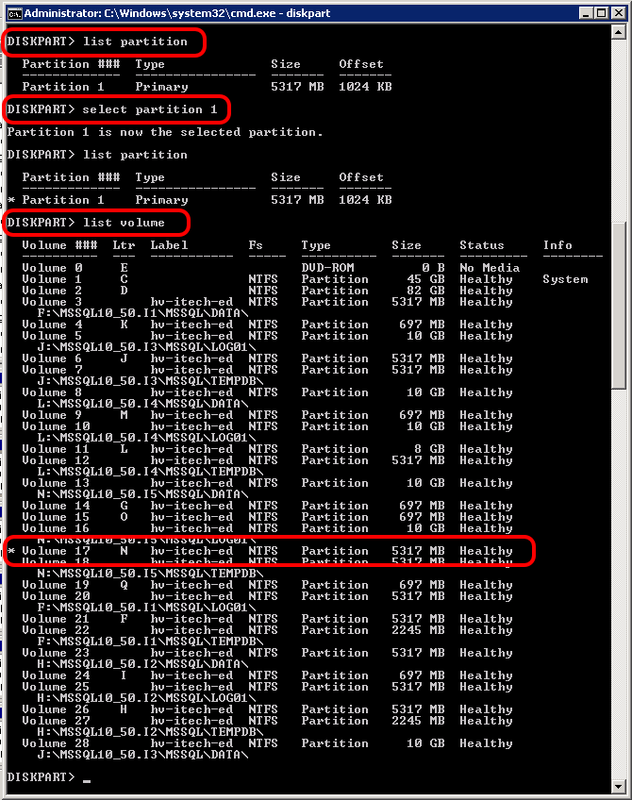 extending partition with disk management, there must be unallocated space contiguous to the partition you plan to extend, otherwise you are not allowed to extend partition. in this situation, you can try third party software.